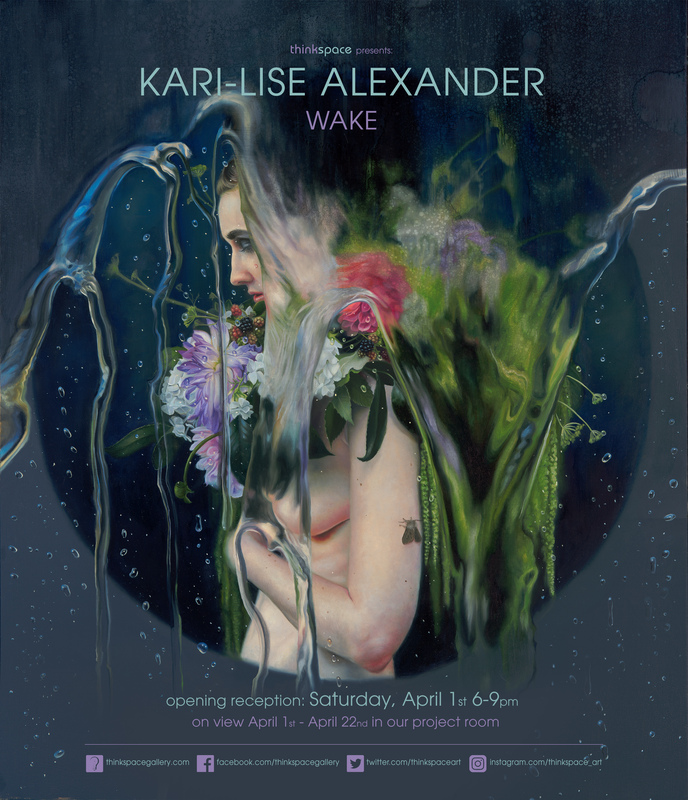 On view in the project room are new works by Kari-Lise Alexander in WAKE, the artist’s first solo exhibition with the gallery. A Seattle-based painter, Alexander is inspired by her Scandinavian heritage, particularly its folklore. Her sensuous portraits of beautiful women, derived from traditional Nordic stories, appear haunted and ethereal at times, and at others formidable. Alexander’s paintings present pivotal moments drawn from these traditional stories, capturing junctures of transformation and episodes of vulnerability. 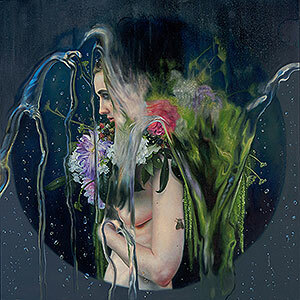 Highly detailed and beautifully pigmented, her works are lush, hyperreal and stylized. Filled with rich flora in vibrant hues, and high contrasting lights and darks, the imagery she develops is both mysterious and dramatic, conjuring the intensity of the surreal. Inspired by 19th Century Swedish illustrators like John Bauer, who similarly depicted mythological subjects and folklore, Alexander has continued to establish her stylistic voice while obliquely referencing similar historical precedents. Recent works, for instance, have felt inspired by the Pre-Raphaelites though transformed through a contemporary sensibility and palette all her own. In Wake, Alexander incorporates fluid textures and effects that reference water. At times her portraits dissolve or are submerged in a watery blur, existing in constant tension with the intermingling of fluid and solid states. A word that invokes several states of transition and change, from sleep to consciousness, the lulled disturbance of water, to the mourning of death, Wake is as hypnotic and seductive as it is emotionally resonant.